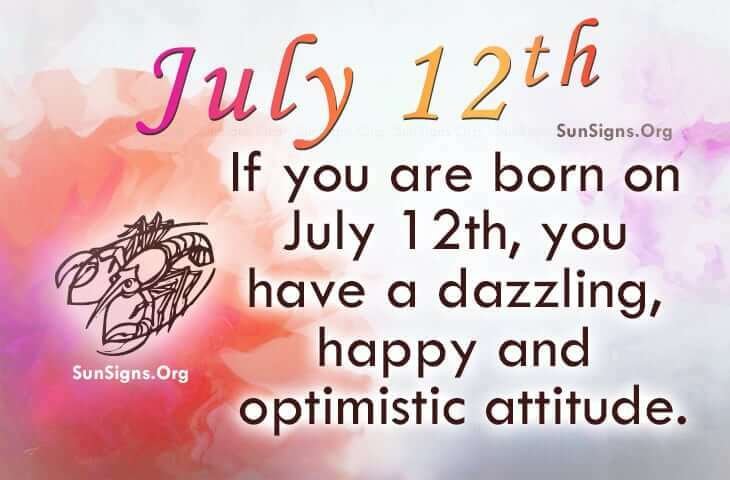 The lucky numbers for famous people born on JULY 12 are 1 & 3. Respectively they symbolize courage and happiness. With all of Cancer’s joy, they make their friends and loved ones feel lucky to have them in their lives. The July 12 famous celebrities are generous individuals who can relate to others. By talking to others, they seem to know or understand them better than they do themselves. It’s more of a spiritual thing. However, they can be antagonistic and rash at times. It could take the likes of a Taurus to calm down these famous people born on July 12 or talk some sense into them. They have a great connection but sometimes, they feel like outcasts. They don’t mind helping anyone but they should be cautious about who they give money to as some will take advantage of their affectionate nature. They have a tendency to mope around when they don’t get their way. Famous people born on July 12th are sensitive as most artists are. Their dazzling and optimistic attitude gets them into more doors than most people can open. However, they remain humble and thankful to have career choices.